Louisa Mak (麥明詩) has been the talk of the town of late. Having recently visited New York to become admitted to practice law in the United States, the TVB actress and Miss Hong Kong winner has once again shown that she has both beauty and brains. And for those who worry that this news signals the end of her flourishing career in the entertainment industry, don’t fear – in a recent interview, Louisa clarified that her decision to get admitted was just to provide her future with more security. This article is written by Jen for JayneStars.com. I look forward to seeing what Louisa does next. So far her roles have been quite interesting to watch. I really admire her hard work and intelligence. She was working at TVB while obtaining her law degree. That’s not an easy feat. Good for her. It is always good to have a backup plan as you never know what to expect in the entertainment industry. Kudos to her…on the same path as Tracy Chu. @peachyogurt Considering that Louisa is a few years younger than Tracy and that Tracy still has many years left in her studies while Louisa already has her license, I would say Louisa is way ahead of her in the game. Anyhow, they’re both quite admirable to be so academically driven while being entertainers. Tbh, I find Louisa prettier than Tracy. Something about Tracy’s mouth doesn’t appeal to me. @sugadough Yes I agree that they both are admirable for pursuing a professional higher education. 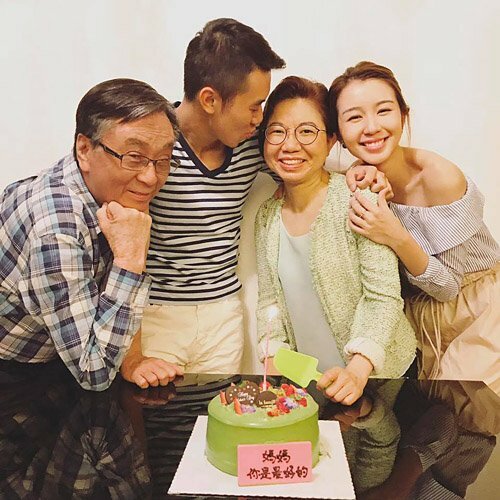 Louisa is a lot younger and finished her studies earlier because I think she pursued her degree right away after becoming Miss HK in 2015, whereas I feel that Tracey spent a few years starring in TVB dramas before making an academic move. I think this is a wise move because it gave audience a chance to know and remember her – and miss her. Also, Louisa became licensed in law in the US while Tracy is planning to become licensed in HK. I think Tracy’s knowledge would be more beneficial when it comes to filming dramas related to HK law, or even benefit actors/actress who are seeking someone who understands HK laws. In my opinion, I think Tracy has a more elegant look, while Louisa has a cute look. They both are beautiful and smart and not one is better than the other. Wish them the best with whatever they choose down the path, whether it is law, entertainment, or both! I don’t know why but I find Louisa annoying. I don’t like her looks and some angles make her teeth look so bad. Maybe she should consider getting braces. Her pursuit of a law degree in UK and then taking the Bar Exam to practice law in the USA is confusing. Most HK Lawyers obtain law degree or go for internships in UK, which makes sense. But for her to obtain her degree in the UK and decide to practice law in the USA… ??? But she is smart to have chosen New York as the state to take her Bar exam because New York is one of the jurisdictions most open to foreign lawyers, this would allow her to sit for the Bar Exam without being forced to complete any further law school study in the US. @moseenaddict That is what I think too. A law degree in North America (Canada & USA) is a post-graduate degree (3 or 4 years after a bachelor’s degree), while a law degree in UK and Hong Kong is only an undergraduate degree. Don’t know why the New York Bar Exam. Board accepted her undergraduate degree in Law for bar exam. for a law practising licence. She had saved many years of study by doing that. A super smart woman!! @orchid123 Maybe special exemption due to superb results. @funnlim Louisa said she got a 2nd class honours in her law degree. But I agree with you that her renowned university, University of Cambridge, might have made the difference. @moseenaddict It is rare but it does happen. Perhaps she intends to settle in US. @funnlim I believe that the solid reason for her choosing to take the Bar exam in NY is because of the State’s leniency to foreign lawyers and as @orchid123 stated, requires a few years less of schooling. Louisa knows very well that she is not a good actress and no beauty by any means… will she make a dramatic improvement to become a GREAT actress in the next 5-10 years remains to be seen. So, obtaining her law degree and license to practice is a back up plan. Smart girl. However, just because she has a license to practice is not all so glamorous as it sounds, she needs experience under her belt, and if she remains an actress in HK, she will lack working experience and will end up working for the government or small firm with low salary. It takes years and years of practice and many cases won before achieving the acclaimed status and high paying salary of a lawyer. @moseenaddict Please give her due credit. American bar exam is not easy. I don’t know her score but she did enough to be admitted and it means something. I find her acting tolerable. I like her Helen in OMG Your Honour. She will improve. The acclaimed status takes just 1 good case. The high salary takes many good cases plus a great academic background which helps and also a shortcut., if daddy is rich somebody.Someone with her qualification would never work in small firm but she may become a judge or in prosecution service. Government service or judiciary is the place to make friends for the future and salary isn’t everything. I am pretty sure the pay would be more than as TVB actress right now unless she hits it big as an actress. She is wise to not be too opinionated. Asians do not like opinions, not from someone young. She can be like Charmaine Sheh; hardly great actress but terribly rich. @funnlim I do give her credit for her for her 10 A’s in the HKCEE. But it was from her parents’ networking that she attended Wellington College and subsequently Cambridge. Whether she graduated with 2nd Honors in Law is questionable… but she did try hard and was the president of Cambridge’s CUHKCAS (Cambridge University Hong Kong China Affairs Society) for one year (2012-2013). I can tell she is a very ambitious woman. The road she has chosen so far is only the first of many steps…. She has a looooooong way to go in regards to her acting. She has a looooooonger way to go in regards to her Law career as all the ‘work experience’ she has so far is only a 3 month non-paid internship at a law consulting firm in London. My cousin was an attorney in HK and now she is a judge. It took her many years of following a mentor, and then taking on cases on her own, then she decided to take the role of family judge when the opportunity arise. Besides, now-a-days, lawyers are a dime a dozen. It’s the acclaimed lawyers that are rare to find.